Learn about the community's history. Enjoy a collection of old photographs. DeKalb County’s second largest city, Rainsville was incorporated in 1956. It has no 19th century historic districts or plantations, but Rainsville, Alabama has a rich heritage that can be traced back to the farmers and entrepreneurs who settled in the area from the 1860s to the 1910s. 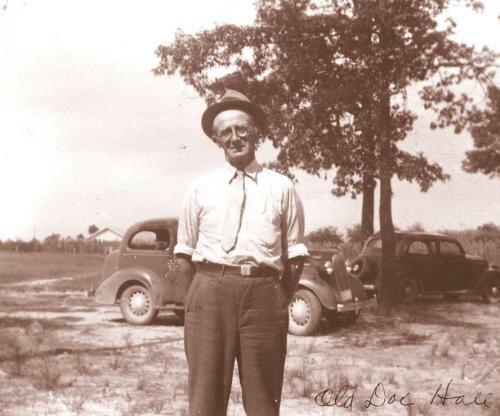 The city was named after Will Rains, the man who established Rains and Son General Store at the Rainsville crossroads sometime between 1903 and 1910 (see this Landmarks of DeKalb article for more information about Will Rains). Alabama became the 22nd state in 1819. Even though Hunstville in north Alabama was the first state capital and white settlers were coming there in large numbers, it was over 25 years before white settlers started moving into the north Alabama lands where Rainsville now sits. Two major factors accounted for this fact. First, DeKalb County was part of the lands owned by the Cherokee nation until their forced removal started (Rainsville is in DeKalb County). DeKalb County and neighboring Marshall and Cherokee counties were each founded 11 days after the Cherokees ceded these lands to the federal government in 1836. The second factor was geographic. Second, these lands were isolated by the Tennessee River and the mountainous terrain. Settlement of the region did began in earnest when the Cherokee started vacating the area in 1837. Many settlers came from Tennessee, Kentucky, and Georgia. Pouring into the valleys between the mountains and plateaus, settlers favored the lower grounds. The steep slopes and cliffs of the mountains were obviously a strong barrier. By the 1860s several of the valley towns of northeast Alabama – Gadsden, Bellefonte (just north of present-day Scottsboro), Guntersville, Centre and Lebanon – appeared on pre-Civil War maps. At that time the area that is now downtown Rainsville remained a rugged, frontier crossing deep in the woods. Between 1860 and 1880 that slowly started to change. By that time Wills Valley had the railroad and a growing population along the rail route at Fort Payne, Portersville, Lebanon and Collinsville. More people were moving into the area, pushing deeper into the woods, and eventually some hardy pioneers started carving out their lives on Sand Mountain. There are graves that are over 140 years old in cemeteries inside the current Rainsville city limits. Some of the earliest known settlers came to the lands that are now downtown Rainsville between 1885 and 1895 including the Henry Thompson family, the Cicero Dawson family, the Parris family, and the Alphonso Robertson family. Several other families had settled in surrounding areas that are now inside Rainsville’s city limits before 1885. Two of the earliest settlers were the James Marion Dawson family, and the Wooten family. Between 1880 and 1905, other families moved into areas around Town Creek Church, near where Plainview school is today, or other land on the outer edges of today’s city. Those including the James family, the William R. Blalock family, the J.G. DeShields family, the Henry Patton family, the Durham family (Chavies), the John Marshall family, the General McCurdy family and others. Around 1892 or 1893, the brothers Joe Franklin Parker and John Tolbert (Tol) Parker came to what is now downtown Rainsville. They grew up in the valley near Lebanon, and as young men they chose to trade their horses for some Sand Mountain real estate. Within a few years, each had large, growing families and growing assets. Joe and Tol would be among the enterprising leaders in the township. At one time, the Parker brothers owned several hundred acres of land in Rainsville. In 1902, Will Rains moved to today’s downtown area from Grove Oak. 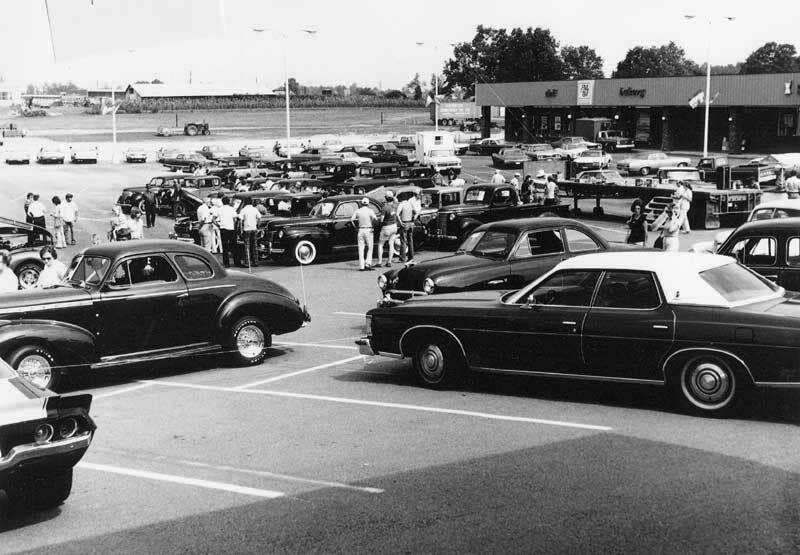 In 1907, he built the first store in town just west of the crossroads of present-day Alabama Highway 35 and 75. (See this Landmarks of DeKalb article for more information about Will Rains). 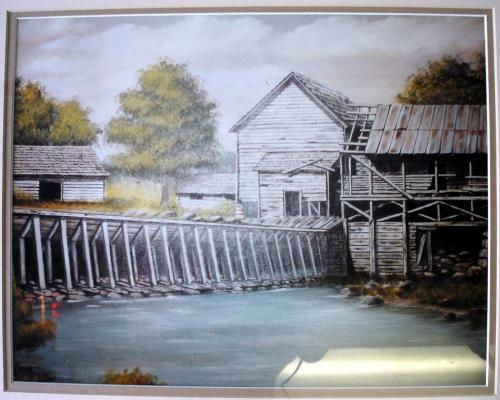 Tom Everett put up a cotton gin in Rainsville in 1908. By 1910, Joe Parker operated a saw mill, grist mill, and a gin. 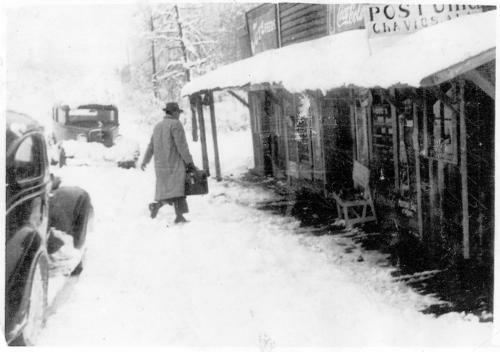 Tol Parker had bought the Rains’ general store. According to an article in the July 15, 1914 issue of the Fort Payne Journal, the Parkers bought the Horton bottling works and moved it from Chavies to Joe’s saw mill in downtown Rainsville. 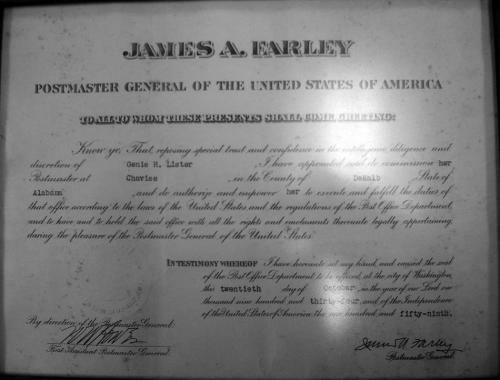 During the first two decades of the 20th century more families moved to Rainsville including the Elijah Jackson Downey family, the Charles Alonzo Tumlin family, the Z.A. Land family, the Lee Harrison family, the James Hardy Benefield family, the Almarine Dawson family, the David Hall family, the D. Gray family, the Bert Brannon family, the O.F. Pertree family and the L.M. Willingham family. One hundred years ago, Sand Mountain life revolved around row crops, church and school. In 1906, there was no school at Rainsville, or Parker Town as the crossroads area was known at the time. The first church in the town was a Methodist church that preceded Parker Town by about 12 or 13 years. From the early 1870s to the late 1890s it was housed in a log building. When Rainsville began to emerge the church rested between Rainsville and Chavies. Today’s Robertson Chapel United Methodist Church has its roots in that first methodist church, and is located adjacent to where the log cabin stood. Chavies Missionary Baptist Church was organized in 1903. Many times in that era, churches and schools shared the same building. Other rural schools of the era were started when the parents of a large family decided to provide an education for their children. Some built one-room private schools on their own property. Others teamed up with neighbors or relatives to build a school, often on donated land. There was a Shiloh School, DeShields School, Hall’s School, Pope School, and Chavies School all within two or three miles of the crossroads of Parker Town. There are 98 schools included on a 1908 list found in the book History of DeKalb County Schools. Chavies had a well established public school prior to most communities in and around modern Rainsville – by one account about 10 years earlier than the Parker School. Chavies preceding Rainsville as a center of commerce with merchants and mills. 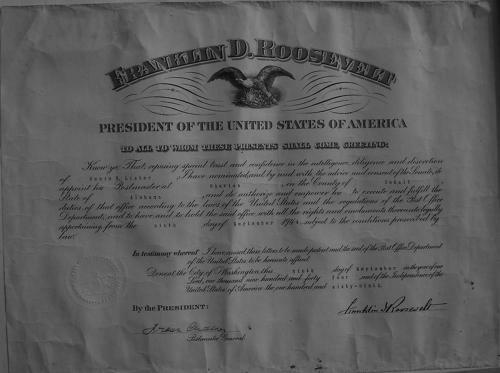 It was not inside Rainsville’s corporate limits until the late 20th century. Teachers were paid by the parents and earned very little. The school year lasted about three months in most cases – two months in the summer and a month in the winter. The children weren’t as busy on the farm during those three months, so they went to school. The first school in downtown Rainsville, Parker School, opened in 1907. It shared a tiny building that was also Rainsville’s first known commercial establishment – Will Rains’ store. 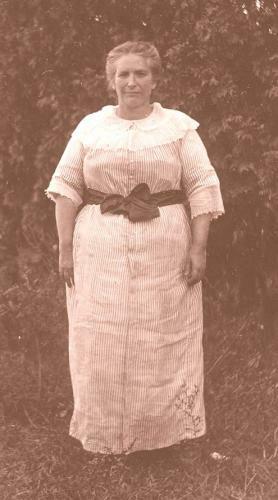 Lillie Durham was the first teacher. The oneroom building was at the southwest corner of the crossroads. Tol Parker is credited with starting that first school. His and his brother’s children accounted for most of the first students. Later that same year, a new Parker School building was erected. Its location was on the grounds of the present day First Baptist Church. The school building served as a multipurpose facility. On Sunday it was the village’s church. It was around this time residents started referring to the settlement and its school as Rainsville. In 1912, a new three room, three teacher Rainsville School was built with Susie McCurdy as its schoolmaster. With a new school building, the first school building could be used exclusively as the baptist church. During the railroad speculation years of 1913 to 1915, it was known as the the Santileon City Church. Today’s First Baptist Church grew out of that original baptist church at the old Parker School. 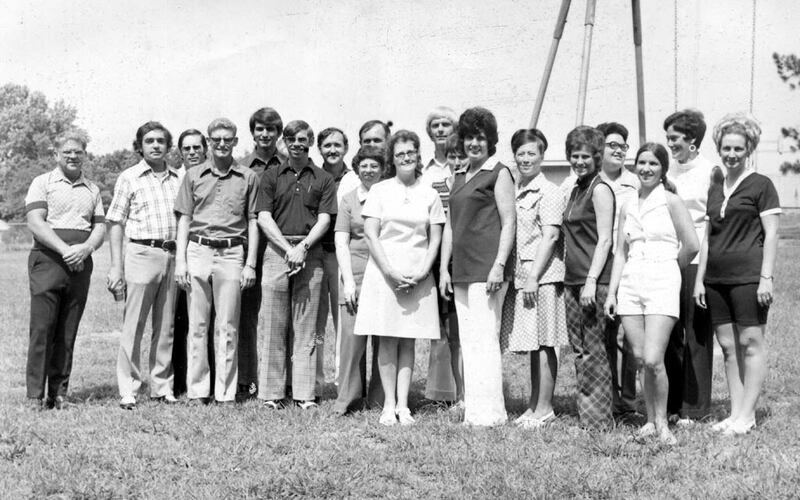 Over at Chavies, the school and the community became known for an outstanding music program and for producing many teachers including Mrs. Tucker herself. In her essay Tucker tells about early days when the 45 children of five Durham brothers, and the 11 children in her immediate family supported a full-time teacher. “Eighteen of these 56 children became school teachers,” she declared. 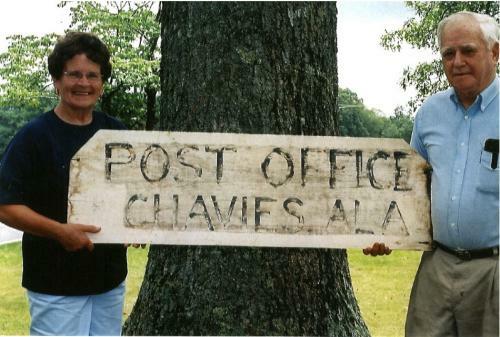 The Chavies Missionary Baptist Church “was organized in the loft or attic of the old water mill building. Church was held in the mill until a two-story house was built on the old school ground to replace the one-room building. The upper story was used by Masons and Odd Fellows. The ground floor was used for school and church,” says Tucker. “The school was the center of community activities, such as spelling bees, box suppers, tacky parties, and debates,” Tucker continues. The school grew “to the extent that the large room was divided and another teacher employed. Later a third teacher was employed and the upper grades were moved upstairs into the lodge hall,” according to Tuckers essay. 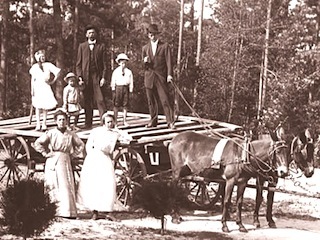 Dozens of families moved in to Rainsville during the later 1910s. They kept coming in the 1920s and the automobile began to be as common as the mule and horse. Schools evolved as government control resulted in improvements. Education had started to become a standard rather than an option for parents. In the 1930s, buses came and school consolidation became the big story for years to come. Plainview Junior High School, as it was when it opened in the 1930s, represented the merger of Chavies and Rainsville schools, it also accommodated the junior high students of several feeder schools in the surrounding area. Plainview, which opened in 1936, had over a dozen feeder schools, although not necessarily all at one time. Through the 1940s, 50s and 60s, feeder schools were eventually eliminated altogether as the modern, government provided education further evolved. How did Plainview School get its name? There are at least four published variations of the story. Two of them provide more detail than the others while telling almost identical tales, but both cred two men with naming it. The one thing for certain is the decision to consolidate Chavies School and Rainsville School had been made, and the new building would be ready by 1936. Naturally, some local residents wanted to call it Chavies and some wanted to call it Rainsville. There were probably others who thought a fresh, new name would be most appropriate. On a cool October morning, the DeKalb County School trustees and superintendent George Hulme met at the site of the school ­ which was probably under construction ­ to discuss the situation. Hulme and John Hopper, one of the two men that donated land for the school, were conversing when one of them made a statement similar to this one: “It doesn’t matter to me what we call it, but it is in plain view of each community.” The other gentleman immediately remarked that since it was truly in plain view they should adopt that as the name. After a vote by the trustees, the name became official. Plainview was a junior high school from 1936 until 1957. 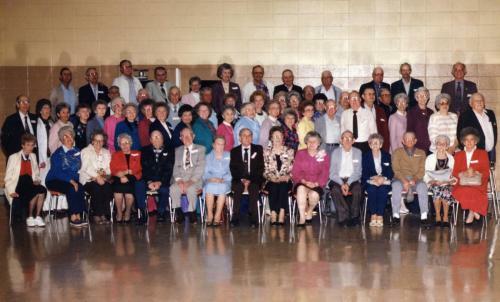 Its first class of seniors graduating in 1959. Due to the large Joe and Tol Parker families, the settlement was referred to as Parker Town from about 1897 to 1908. By 1908, the Rains store, a cotton gin, saw mill, shingle mill, grist mill, two churches, and new school were present. There must have been talk about giving the growing village an “official” name. According to Joe Parker’s granddaughter, Mary Jo Grant, Parker urged locals to refer to the settlement as Rainsville rather than Parker Town in honor of Will Rains who built the first store. Before 1913, word of a new rail route on Sand Mountain started a great deal of speculation. An enterprise known as Birmingham and Chattanooga Railroad Company surveyed the mountain for a new track. The railroad was more than a rumor. Headquartered in Boaz, the venture was incorporated on November 29, 1911. The survey on the new railroad “was progressing rapidly notwithstanding the very bad weather we have been experiencing of late and that the engineers were now about 35 miles north-east of Boaz in the neighborhood of Chavies” (Sand Mountain Record, Boaz, February 22, 1912). According to an article in the April 16, 1913 edition of theFort Payne Journal, the rail company had acquired some “valuable right of way.” Advertisements promoting a new real estate development where downtown Rainsville now sits claimed the railroad was under construction. A rail bridge at Chattanooga was proposed, and welcomed by the Hamilton County (TN) government. The article said the Hamilton County Court of Commissioners had entered into a contract with the new railroad to pay $15,000 per year to allow wagons and foot passengers access to the future bridge across the Tennessee River. With rail service for the growing commercial center at Rainsville, an economic boom seemed imminent. Perhaps that’s why a real estate company and some local residents resolved that the town needed a catchy new name. They apparently chose one in 1913 and started using it. The Fort Payne Journal featured community columns for Santileon City between July 1913 and July 1914. During that year “Santileon City” was used instead of “Rainsville” by the writer of that column on several occasions. The baptist church was called Santileon City Church, and games between a Santileon City baseball team and nearby squads were mentioned a couple of times. Any future railroad station and new maps would feature the new name “Santileon City” rather than Parker Town or Rainsville. It is not known where the name came from, but Santileon City was plotted, and real estate auctions to sell lots were planned. Although “about 500 persons awaited the Auction Sale… it was thought advisable to postpone the sale because of the heavy snow which covered the land making it impossible for the lots to be seen” (Fort Payne Journal, March 4, 1914). The auction was rescheduled for Saturday, March 21, 1914. (See the advertisement from March 1914). The results of that March 21 auction were not reported in detail in the newspaper. But a related article in May of 1914 stated the Dixie Lookout Realty Company had “just closed a big deal in mountain lands” and “at the same time interested eastern capitalists from the oil, gas and coal fields of West Virginia” (Fort Payne Journal, May 6, 1914). The capitalists were West Virginia politicians Stuart H. Bowman and Tom B. Bowman of Huntington, West Virginia. The Bowmans were interested in the prospects surrounding the proposed railroad, and they apparently considered buying into the Santileon City development. According to the article, the Bowmans had learned about the proposed Sand Mountain railroad in a Baltimore, Maryland publication, and Tom Bowman traveled to Chattanooga to meet with railroad officials. Zedikiah Arthur Land won the contest. His good fortune was reported in the newspaper a few weeks later. 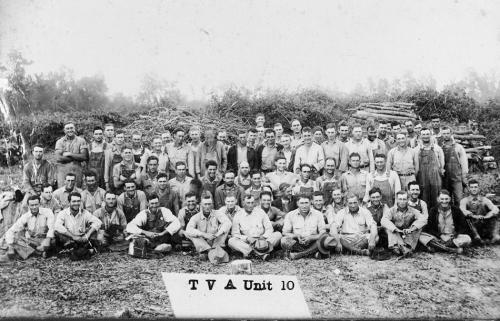 Land transported 95 men to the auction on a 12 by 20 feet wagon he prepared especially for the occasion. “He hauled the load with four of his best mules, and beat his nearest opponent by 14 men” (Fort Payne Journal, July 6, 1914). It is not clear how the auction turned out. But, if 500 people braved the snow to make it to the first auction on a Wednesday in February, surely several hundred more came on that Friday in May. After all, we know 95 men came on one wagon, and 81 came on another. It is believed very few lots were sold and ownership of most of the property remained with the previous owners. The May 20, 1914 edition of the Fort Payne Journal featured an advertisement by the Worthy Development Company for a sale of lots on 40 acres on the new railroad in Sylvania (which was about four miles north of Santileon City). Similar advertisements for a lot sale in Crossville, which was about 13 miles to the south, appeared that spring, as well. But the ads must not have attracted much outside interest, and the Sand Mountain residents – who were almost entirely hard working farmers – must have had little need for small lots in a new development by a railroad track that may, or may not, be built. 1956 was a big year. Elvis Presley had his first three number one hits. Eisenhower was re-elected in a landslide. A bus boycott in Montgomery made a young, African-American preacher a household name. Don Larsen pitched the only perfect game in World Series history. A group of men in Rainsville took action in hopes of making their community a better place to work and raise a family. The town’s founding fathers and citizens decided to make the town official during the second half of 1956. 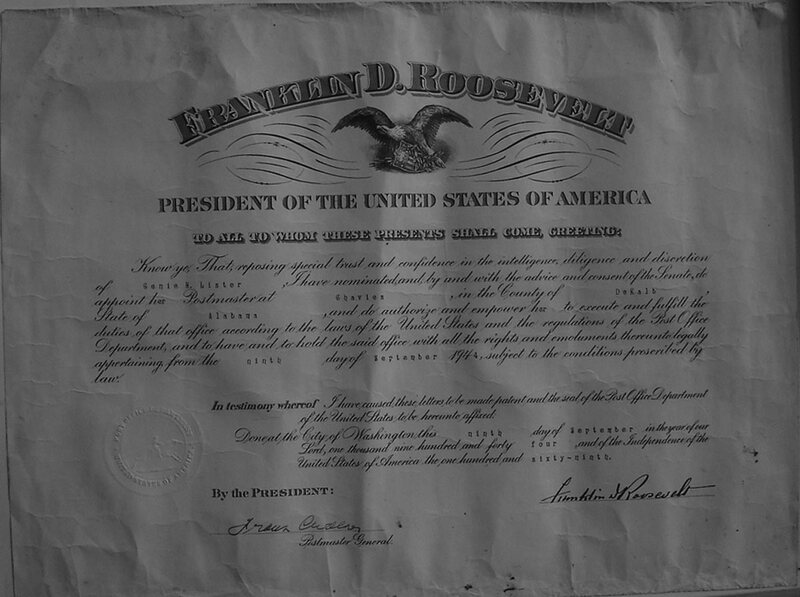 A petition of incorporation was filed with the probate judge on August 6, 1956. Subsequently, on August 27, 1956 the citizens confirmed the measure, by voting 41 in favor and 11 in opposition. 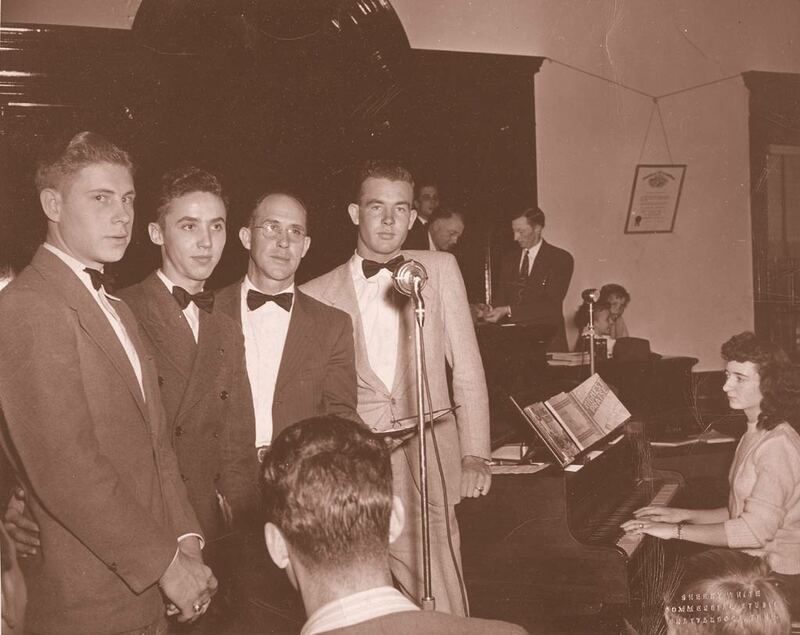 The mayor and town councilmen were sworn in on October 13, 1956. The first town council meeting was held on October 22, 1956 and the Rainsville municipal government was created. Roland Daniels was the first mayor, while Bill Kelly, Edmond Burke, Leo Grimes, U.H. McDonald and Elmer Bailey were the original councilmen. They appointed Joe Thompson as the first town clerk. 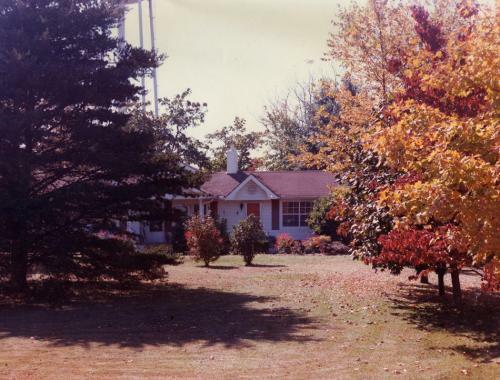 In the 1960s, several northeast Alabama towns, including Rainsville, grew at a pace that was well above the national average. Rainsville’s 269.5 percent growth between 1960 and 1970 outpaced all incorporated towns and cities in the entire state. The original 1960 census reported Rainsville’s population at a little over 300 people. In March 1963, business and community leaders suspected that the Census Bureau’s official population estimate for Rainsville was dramatically low. As a result, Rainsville citizens were being short-changed in regard to federal government support. Under the supervision of the Federal Housing Authority (FHA), four members of the Rainsville Home Demonstration Club: ­ Mrs. Marvin Barron, Mrs. Harvey Clifton, Mrs. Elmer Bailey and Mrs. Milton Turner ­ conducted a recount. The four women counted 1,020 people and the Census Bureau raised the official population of Rainsville for 1960 to 568. The gain convinced the FHA to grant an increase in the number of housing units in a new federal housing project to be built in the town from 10 to 18. Proof of a larger population also helped secure a new Post Office building. By the 1970 census the population had grown to 2,099, according to the Census Bureau. 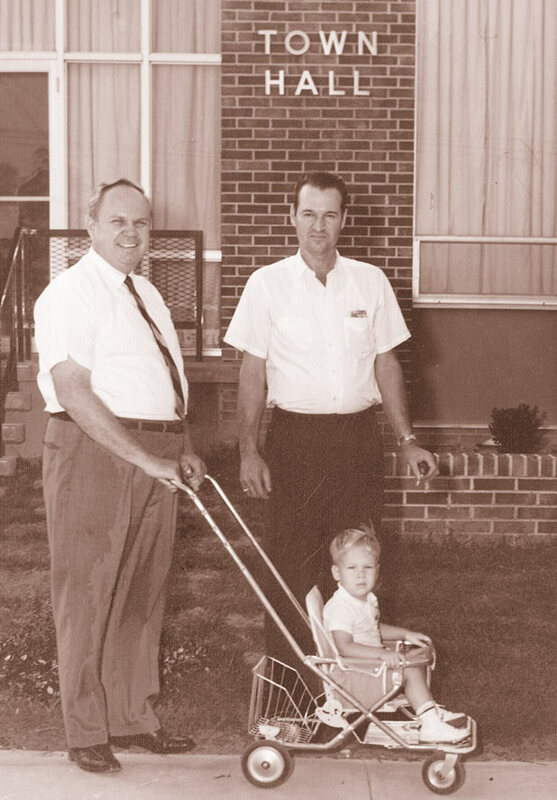 Since becoming an incorporated town, Rainsville and its residents have enjoyed many achievements, triumphs and other milestones. Here’s a partial list of some milestones, listed in chronological order from the incorporation to a 50th anniversary celebration held in 2006. Most of the events on this list are city government related milestones. 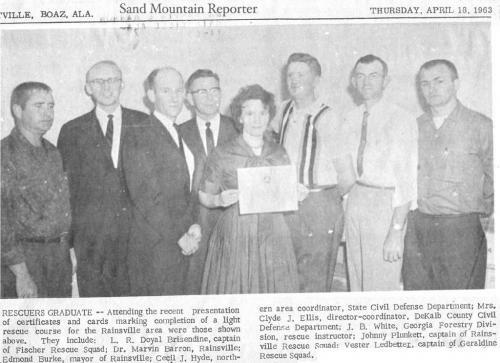 August 27 1956; citizens vote 41 to 11 in favor of incorporating town of Rainsville. Oct. 13, 1956; first mayor & council sworn in. Oct. 22, 1956; Founding fathers make town official – hold first town council meeting at the gin. May 1959; First graduating class at Plainview High School; varsity sports also began. Nov. 1962; Dr Marvin Barron attends Sand Mountain Electric Coop board of trustees meeting to urge the Co-op to relocate to Sand Mountain. June 25, 1962; the Rainsville Town Council approved the formation of the Industrial Development Board of the Town of Rainsville. Following the council meeting, the board met to elect permanent officers. The board members were Dr. Marvin Barron, Roy Winkles, Leo Grimes, Luther Hendrix, Harvey Clifton, Fletcher Deerman, Cecil Shirey and H.G. Johnson. The board elected Dr. Barron as chairman, Leo Grimes as vice chairman, and Luther Hendrix as secretary. March 1963; leaders fight for a census recount. Under the supervision of the Federal Housing Authority (FHA) a recount was conducted. June 1964; (resolution 2-22-65 to purchase land) Rainsville acquires six acres for first city park. The Rainsville Business and Professionals Men’s Club sponsored efforts to acquire the land. Aug. 29-30, 1964; Triple Dedication Ceremony. City Hall, Post Office, Bank openings commemorated over weekend. Dec. 1964; Hired Adell Land as first full-time town clerk. May 10, 1965; City supports organizing little league ball. Bunk Willingham, VT Goggans, Jerrol Johnson and Glenn Harrison would organize it. 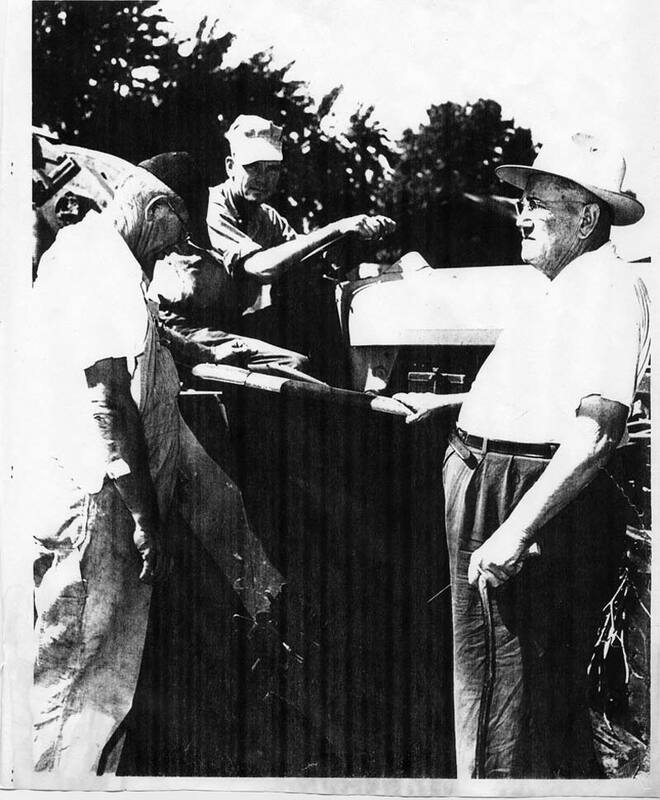 February 1966; the Agricultural Stabilization and Conservation Service announced move to Rainsville. 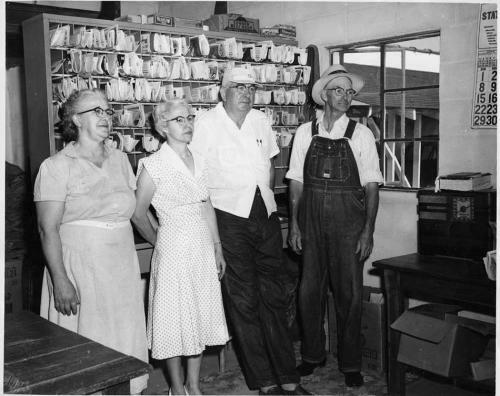 March 1966; Efforts were started to open a Rainsville Public library. December 27, 1974; Republic Buildings Corporation startup date announced. Officials announced the start of production in January 1975 of pre-engineered steel buildings at the new Republic plant in Rainsville. The announcement came at the Alabama Capitol from Governor George Wallace. 1977; Rainsville’s sewer treatment system begins initial operation with a daily capacity of 500,000 gallons. 1981; The Rainsville Civic Center opened. Oct 11, 1981; hired Judy Lewis who is still city clerk today. Sept 20, 1982; adopted zoning ordinance for first time. March 1983; first Northeast Alabama Home & Garden Show held. July 1984; Roy Sanderson was elected Mayor, he was re-elected three times, no other mayor served longer. August 1988; Donnie Chandler was elected to the city council- he was re-elected three times and served as mayor pro-tem for three terms before becoming mayor in 2004. Feb 20, 1986; Voted to build pavilion / shelter in park. Oct 1987; named Ronnie Helton fire chief; he was chief until his retirement on April 26, 2011. Feb 3, 1988; Voted to build walking track in park. Aug 19, 1988; purchased building for current city hall. 1988; discussion of new library building project started. April 1991; Alabama Public Library Service granted Rainsville a federal grant in order to build a new library from the ground up; the new library opened May 1992. December 1993; new community center, the Tom Bevill Enrichment Center, opens. April 1997; tornado changed the face of park, pool, police station, and downtown. May 1997; the new fire hall, named in honor of V.T. Goggans opens. May 1999 -City named Roger Byrd police chief, where he remained until his retirement from the position in 2010. July 2000; Field of Dreams opened. Aug 9, 2001; Agricenter board formed. Dozens of photos, newspaper clippings and other items of interest have been collected since efforts began in 2005 to preserve historically-significant items for future generations to enjoy. More photos are wanted; if you have some old photos to share in this collection, submit them to Tim at the Rainsville Chamber of Commerce. This section includes various images that do not fit neatly in the other categories.